Seeing In The Pitch-Dark Is All In Your Head : Shots - Health News Using special eye-tracking cameras, researchers at the University of Rochester found that many people can perceive their own bodies moving, even in total darkness. Our minds instinctively fill in images when there aren't any real ones to see. I think I can see something. They wanted an industrial-strength blindfold to make sure volunteers for their work wouldn't be able to see a thing. "We basically got the best blindfold you can get." Tadin tells Shots. "It's made of black plastic, and it should block all light." Tadin and Blake pulled one on just to be sure and waved their hands in front of their eyes. They didn't expect to be able to see, yet both of them felt as if they could make out the shadowy outlines of their arms moving. Being scientists, they wondered what was behind the spooky phenomenon. "We knew there wasn't any visual input there," Tadin says. They figured their minds were instinctively filling in images where there weren't any. After conducting several experiments involving computerized eye trackers, they proved themselves right. Between 50 and 75 percent of the participants in their studies showed an eerie ability to "see" their own bodies moving in total darkness. The research, put together by scientists at the University of Rochester and Vanderbilt University, is published in the journal Psychological Science. 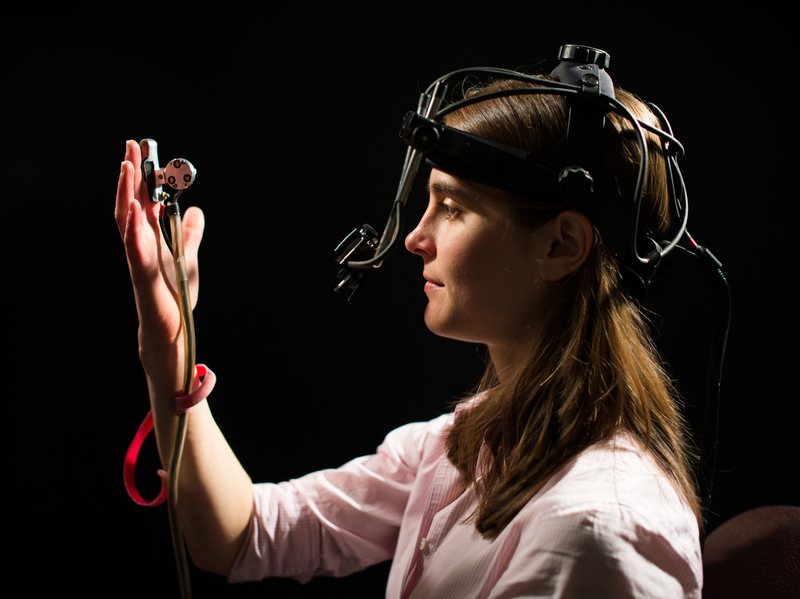 The researchers investigated the phenomenon by fitting volunteers with special eye-tracking cameras. How were they so sure? "The only way you can produce smooth eye movements is if you're following a target," Tadin tells Shots. When our eyes aren't tracking something very specific, they tend to jerk around randomly. "If you just try to make your eyes move smoothly, you can't do it." The researchers used this knowledge to test whether people could really distinguish their hand movements in the dark. They fitted the volunteers with special infrared eye-tracking devices and sat them inside a pitch-black room. The participants waved their hands around and reported back what they saw, while the infrared cameras kept track of their eye movements. Those who didn't see anything had jerky eye movements, but those who said they could see were able to smoothly follow their hands' motion with their eyes. Of course, these folks didn't really have night vision. None of them could see someone else moving in the dark. In reality, the participants' brains were fooling the eyes into thinking they could see, filling in the visuals based on past experience and memory. Tadin says whether or not we can detect our own movements in the dark depends on our hand-eye coordination more than anything else. We don't always process our sight, touch and motion separately — sometimes these senses can blend together. The researchers paid special attention to people with synesthesia, a neurological condition that causes people to involuntarily link one sensory perception to another. Synesthetes might always see the color red when they read the number 5, or hear a certain note every time they look at something blue. 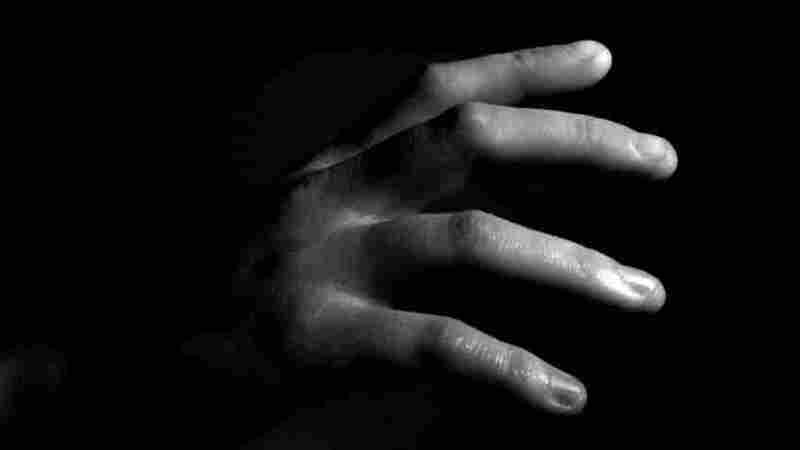 In these experiments, the synesthetes could almost perfectly follow their hands' motion in the dark, the researchers say. Tadin can't say for sure why our brains behave this way. He suspects it's a learned skill. "Imagine how many times you've moved your hand and looked at it," he says. Over time, our brains memorize the visual. "As you move your hand, [you can] already sort of predict what your visual sensation will be," he says. Tadin says our pragmatic brains do a lot of this sort of predicting to conserve resources. And seeing something without really looking at it could free up our eyes to focus on more important things.